Both the pediatric and adult populations are prone to throat and voice disorders. These may range from tonsillitis in a five-year-old to severe hoarseness in a singer or smoker. Our office is equipped to treat these problems. The majority of sore throats, or pharyngitis, are viral and resolve with supportive care. Strep throat is a bacterial infection and may require antibiotic therapy. Chronic sore throat can also be caused by a variety of disorders including rhinitis, allergy, sinusitis, postnasal drip or gastro-esophageal reflux disease. Any un-resolving sore throat should be evaluated to rule out serious medical conditions. The tonsils are two masses of lymphoid tissue in the back of the throat. 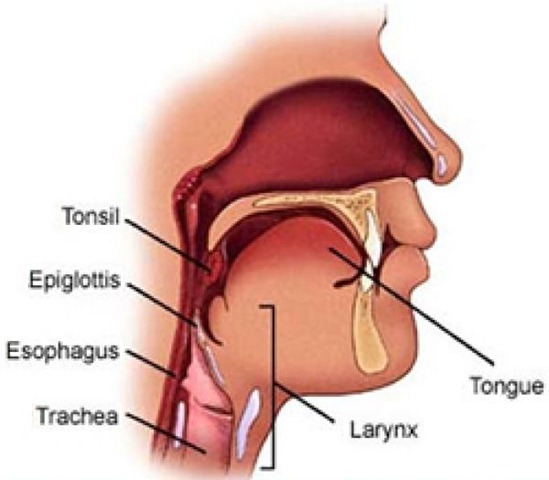 Tonsillitis is an inflammation of the tonsils caused by infection. Symptoms include fever, sore throat and pain with swallowing. The tonsils may be enlarged, red, and may have white spots on them. Tonsillitis usually resolves with antibiotic therapy. However, recurrent and frequent tonsil infections may require removal of the tonsils.